David Politzer enjoys hamburgers, hiking with his family and talking about interesting stuff like TV shows or politics. He makes artworks about the awkward relationships we have when we communicate using cameras, phones, computers, etc. Not just between people, also between people and the natural world. Politzer was born in Washington DC, earned an MFA from Syracuse University and a BS from Skidmore College. His solo exhibitions include those at the Museum of Northern Arizona, Artsoace (NC), Artspace (CT), Real Art Ways (CT), Lawndale Art Center, Houston Center for Photography, Galveston Art Center and Western Georgia University. 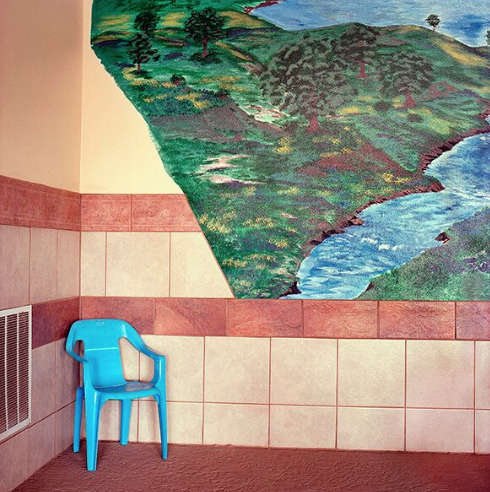 He is the recipient of the 2011 Carol Crow Fellowship from the Houston Center for Photography. Group show and screening venues include the Bronx Museum of the Arts, the New Mexico Museum of Art, the El Paso Museum of Art, the Masur Museum (LA), NUTUREArt (NY) Threewalls (IL) the Soap Factory (MN), Southern Exposure (CA), Vox Populi (PA), the Syracuse International Film Festival, SPACES (OH), video_dumbo (NY) and Gallery Korea (NY). Politzer was artist in residence at Yaddo, the Skowhegan School, Djerassi Resident Artist Program, Roswell Artist in Residence, the Museum of Northern Arizona, Lawndale Art Center, Artspace (NC) and Grand Central Art Center. He lives in Houston, TX with his wife and daughter. He’s also Associate Professor of Photography and Digital Media at the University of Houston.